Around the holidays many people celebrate by gathering together to eat delicious foods, visit and give one another gifts. There are plenty of guides out there that offer help whether you're looking to provide a present for a child, a teen or even a co-worker. But what about seniors? Older individuals enjoy receiving a festive holiday gift, too. Not sure what to give your older loved one this season? Read on. Due to poor circulation, many seniors find themselves feeling chilly even in well-heated areas. Provide the gift of warmth by giving your loved one a heated blanket. Most of these blankets plug in to the wall and provide comfortable, soothing heat that will make the senior feel well-loved and cared for. Heat has been shown to promote circulation and also eases the aches and pains that may come with arthritis or old age. Seniors can use upgraded technology to stay in touch with friends and family. 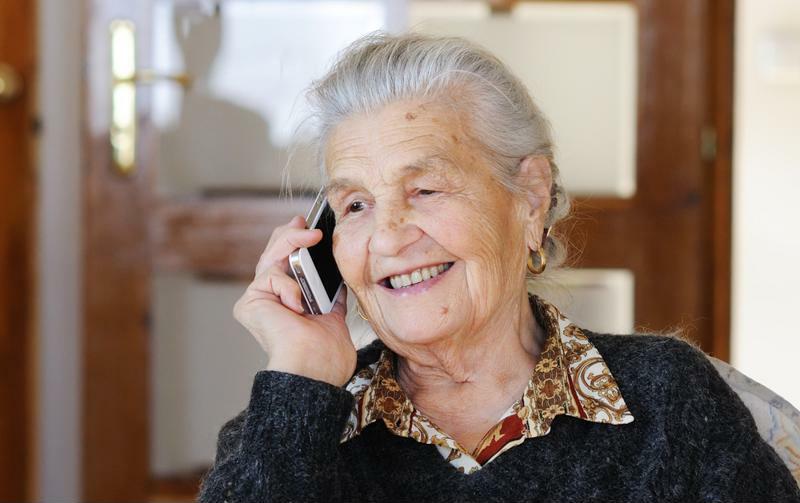 Does your older loved one have a cellphone that is out-of-date? Newer models may be better suited to arthritic fingers and poor eyesight. Consider swapping out his or her phone with one that has a larger screen and bigger buttons to make it easier to make calls, send texts and even view Instagram if your loved one is so inclined. You'll have peace of mind knowing the senior can call for help or just keep in touch with friends and family. Plus, the latest smartphones all include cameras that will allow the senior to have video chats with people they may not see often. This is a festive way to bring your senior back in touch with people who don't live close and can't come to visit. Also consider gifting a senior a tablet to help him or her keep track of online bills and access the Internet. These small devices can easily be stowed away in a purse for travel and don't take up a lot of space in an assisted living apartment. Plus, most health care providers use patient portals to share information about prescriptions, send reminders about appointment times and contact patients. Giving your loved one a tablet this season may help brighten his or her life (include a Netflix subscription!) and make contacting the doctor's office much easier. Because many seniors aren't tech-savvy, they don't get to see all the important updates family and friends post on Facebook and other social media sites. Fill them in on new babies, weddings and even a few teen selfies by creating personalized photo gifts. "Give your older loved one photos to cherish all year." You can get together with family to create a picture album highlighting the last year, or select favorite shots and have them made into coffee mugs, t-shirts or tote bags. You'll be giving something functional as well as a memory. Grandparents love to share pictures of their loved ones with other residents in assisted living retirement communities! You may not realize that seniors love to receive games as gifts. Many older individuals enjoy cards, word finds, Scrabble and Sudoku. Thinking games that involve words and memory can even help maintain your senior loved one's brain function. Plus, who doesn't enjoy a few rounds of Uno, Hungry Hungry Hippos or checkers to pass the time? When choosing a game to gift to a senior, think about his or her dexterity. Operation might not be a great choice if the older individual doesn't have great control over his or her fine motor skills, for example. Multi-player games are great because you can get the whole family involved, creating memories that will last much longer than the holiday season.